يقع في تلال بيرث, The Good Life Bed & Breakfast إنه المكان الأنسب لاكتشاف برث و ما يحيطها. يمكن من هنا للضيوف الاستمتاع بسهولة الوصول إلى كل ما تقدمه هذه المدينة النابضة بالحياة. يشكل هذا الفندق ملاذاَ مريحاً للاسترخاء ويمنح زواره فرصة للاستجمام والتجدد، وهو يقع على بعد خطوات من المعالم السياحية الكثيرة للمدينة كمثل: ليسموردي فالز, Forrestfield Medical Centre, Mead Medical Group. يعمل The Good Life Bed & Breakfast على ضمان إقامة مريحة لضيوفه من خلال خدماته الممتازة وحسن ضيافته. تتضمن الميزات الرئيسية في هذا الفندق: واي فاي مجاني في جميع الغرف, أمن على مدار 24 ساعة, خدمة التنظيف يوميًا, مرافق مخصصة لذوي الاحتياجات الخاصة, تسجيل وصول/خروج سريع. تتضمن كل غرف النزلاء وسائل الراحة والتسلية المصممة خصيصاً لضمان الراحة القصوى للضيوف. يمكنك الاستمتاع بالأجواء المريحة التي تقدمها حديقة طوال النهار. مهما كانت أسبابك لزيارة برث، فإن The Good Life Bed & Breakfast هو الخيار الأفضل لإقامة مثيرة وممتعة. Lovely location quiet and value fir money, catered for all your needs very generous a wonderful breakfast in the morning. Cherry is most accommodating. Checks by email your preferences to bedding and time of arrival. Helps with the bags and even prepared a snack for us on arrival. A lovely hot breakfast was served in the room. Excellent host and excellent breakfast. Cherry have been a great host as usual and this is my 2nd stay with them. As long as I'm back in perth this will be the location that I would be staying. 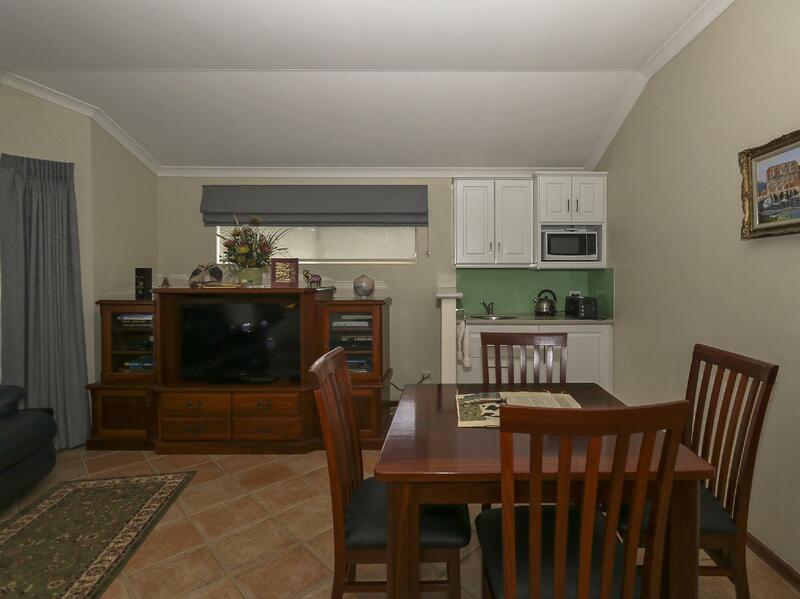 Location wise is quiet, near airport and a short drive to town. 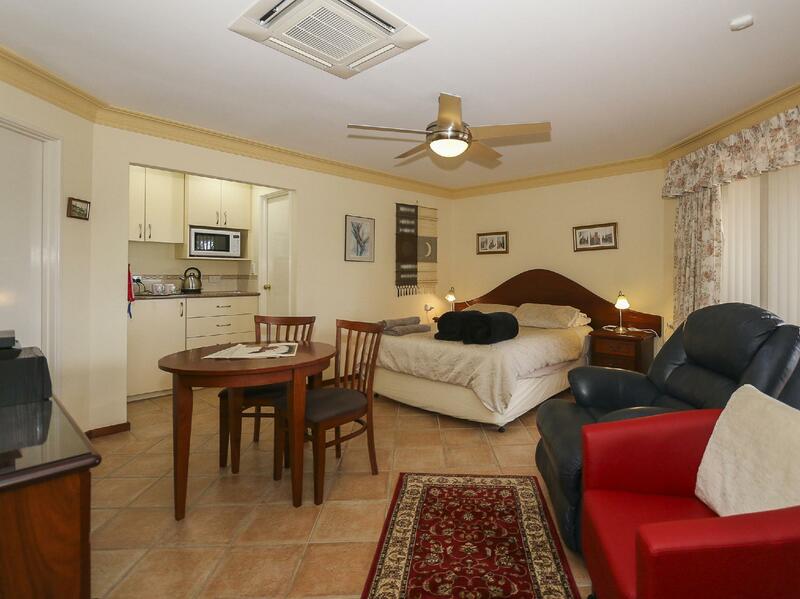 If you do not want to stay in a stuffy crowded town area then this is the place to stay, comfortable, quiet and tranquil to have a good holiday. Thanks Cherry for your beautiful, warm hospitality, for the care you show your guests and for the sensational breakfast. I couldn't have been made feel more welcome on my first stay which is why it won't be my last. I left an item of clothing behind and Cherry offered to wash it and send it back to me in the mail. What a champion !! Even the recommendation for dinner at the Blue Ox in Kalamunda was spot on. I look forward to seeing you and Barry again on my next trip. If you have read other reviews of the Good Life B&B, you will see that everyone is pretty enthusiastic about the place. All I can do is endorse these comments. It is rare to stay at a place that is perfect in every respect, but this is it. There is not a single fault and the price is extremely reasonable. Thank you Cherry for taking care for us. Breakfast made according to our Malaysian's taste and it is so delicious. Loved this place - would definitely stay there again. Cherry is the perfect host and provides everything that any traveller will need. Ideal for those w/ cars. 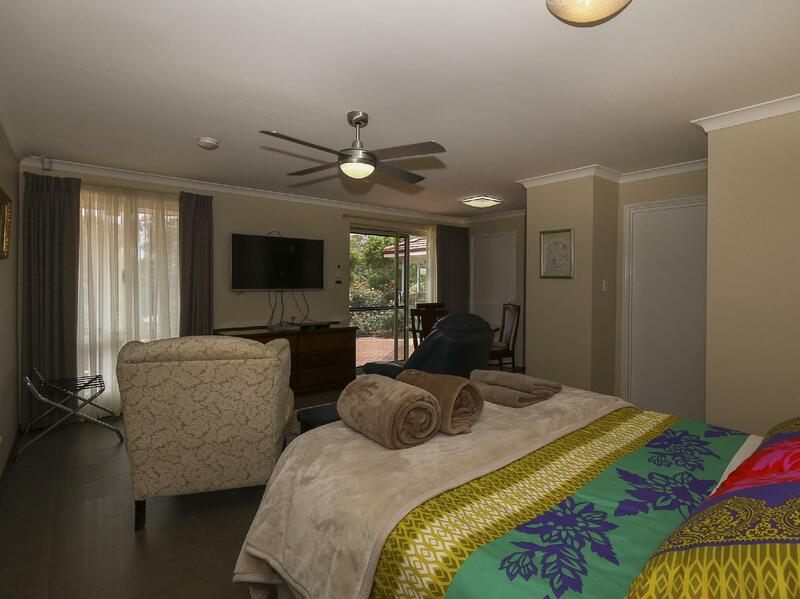 Located in an upscale, quiet & friendly neighbourhood and great base for exploring Perth, Fremantle and neighbouring towns. 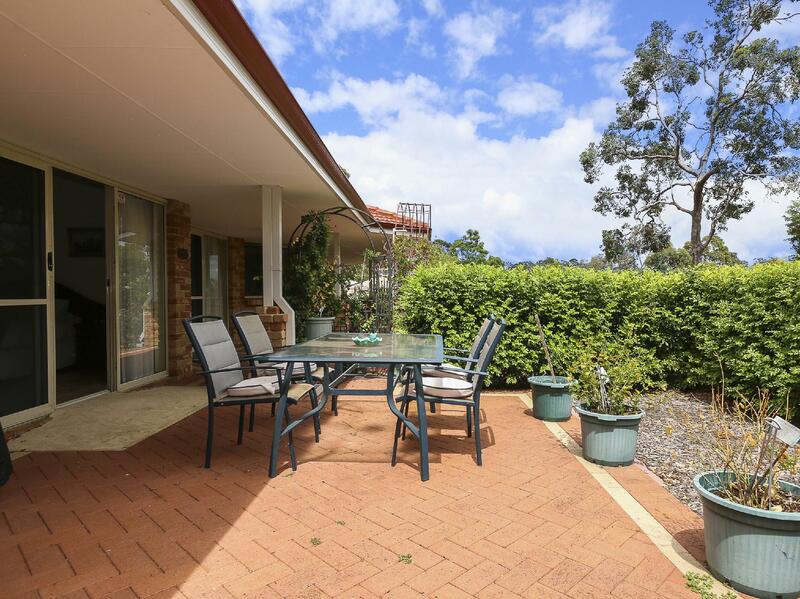 Large supermarkets & nice restaurants at Lesmurdie & Kalamunda are only 2-5 minutes drive away. Perth airport & CBD are both only 15 mins drive. My partner and I absolutely loved the room, it was so cosy and we were very well looked after. Definitely coming back! We had a superb time made possibly by Cherry, the friendly and hospitable owner. Highly recommended. Room is big and clean, breakfast is good. Hospitality is great, very friendly host. Location wise is very quiet and nice sub-urban area to relax and roam around besides staying in the city. Warm welcome, more than ample amenities, relaxing environment. We stayed for two days but wished we had stayed longer. Received a warm welcome by Cherry (Chiharu). Room was comfortable with everything we would need for our stay and even more. Room was stocked with many things, food and drinks in the fridge, books in the cupboard, DVD/blu-ray movies and shows, maps/brochures of the tourist attractions around Perth, toiletries....if you are looking for a relaxed environment, this B&B is in the sub-urbs, surrounded by other houses in the hills would be the place. The warmth and hospitality is amazing!